» ¡Bienvenidos a Centro Comunitario de Educación! Welcome to Centro Comunitario de Educación a vibrant learning location of the Donna Ford Attallah College of Educational Studies where Chapman University faculty, students and community members engage in learning and working together. Bienvenido a Centro Comunitario de Educación, un lugar de aprendizaje vibrante donde profesores y estudiantes de la Universidad de Chapman y miembros de la comunidad se juntan para aprender y trabajar juntos. The Centro Comunitario de Educación is a pre-kindergarten through adult learning center run by the Chapman University Donna Ford Attallah College of Educational Studies. The purpose of the Center is to promote literacy and education for the Santa Ana community and its surroundings. As a college of education, our faculty, students and staff are honored to be able to serve this community and develop partnerships with other agencies and organizations with a similar purpose. Parents from the Santa Ana community bring their children to the Centro Comunitario de Educación and participate in activities to build the parent’s capacity to help nourish and develop their abilities with the resources they possess at home. Parents gain parenting skills including communication, health, discipline, and at-home readiness skills for their children (pre-literacy and pre-numeracy). While the parents are learning in one part of the Centro, the children participate in preschool classroom experiences in another room. The Reading Starts Early Program (RSE) was developed to support early childhood development for both the children of the Padres Unidos preschool program as well as for the preschool children from El Sol Science and Arts Academy. The program was conceived to provide much needed preschool experiences and support for the local children of Santa Ana and its vicinity, especially in the area of literacy development. Learn more about the annual graduation ceremony and backpack giveaway for preschoolers. With the Teen Mentoring Program (TMP), we want to help build the mentor and mentee relationship to support mentees in career and college exploration. The program also helps Chapman students to collaborate in civic engagement in Santa Ana and improve an aspect of the community in which they are interested. The goal is to create a pipeline for future Chapman students and other Institutions of Higher Education (IHE) as well as a venue for students to consider their future careers and how to achieve their professional and personal goals. The Centro invites the community to become fluent and literate in English and Spanish. Classes are offered in collaboration with community institutions, agencies, and groups, such as Santa Ana College (SAC), Santa Ana Unified School District (SAUSD), and local poets and community groups, such as Las Comadres National Book Club. The Centro Comunitario invites the community to be introduced to art and literature first-hand and be exposed to different cultures through monthly events, book signings and art presentations. 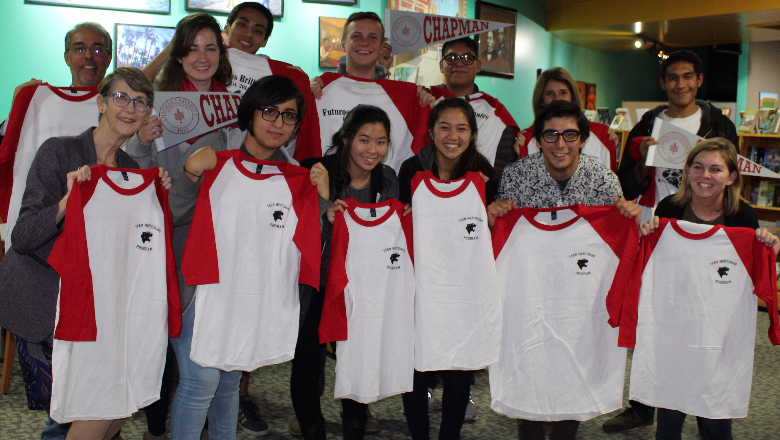 For more information or questions about Centro call (714) 973-7900 or email centro@chapman.edu. For questions about programs at Centro Comunitario de Educación please contact Dr. Anaida Colon-Muniz, Director of Community Education Projects at acolon@chapman.edu or (714) 744-7076 or (714) 973-7900. Based on interviews and survey research, the brief describes the impact of Centro projects on Santa Ana families, children, and Chapman students.